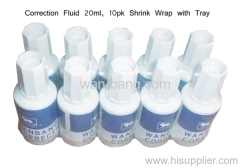 Correction Fluid - Economy Shrink Wrap of 10 bottles. PET Bottle with Triangle embossed on top of lid for blind people. DUPONT Titanium Dioxide provides best coverage and spread. 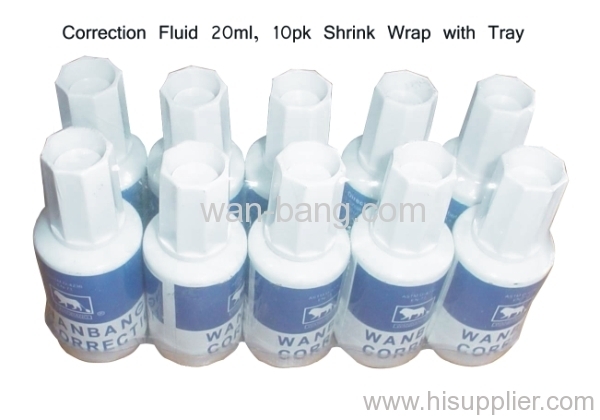 Volume 18ml ~ 22ml, commonly 20ml. Grey ink is also available. 400 bottles per master cartons.